Anti-Trafficking Monitoring Group Coordinator Anna Sereni on victims of modern slavery in the UK drowning in an increasingly hostile bureaucratic system. A woman who was trafficked into Britain at the age of three and sexually exploited for decades was told by the Home Office that she was in the UK illegally, even though she didn’t even know where she was trafficked from. 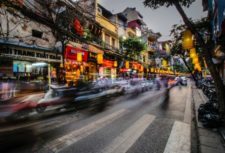 Extremely vulnerable Chinese women who were trafficked to the UK were sent to detention often with no legal representation or access to medical care. A man, sold into slavery at the age of three in in his native Ghana, then trafficked into the UK, was told he would be deported back to the country where all he knew were his captors. It took the Courts of Appeal to stop it. These stories just from the last few weeks show how the UK treats people who fall victim to modern slavery. Unfortunately, we hear similar stories on a daily basis. They show a deeply unjust bureaucratic system that is hostile to modern slavery survivors, the ones it is meant to support. And it is about to get worse. 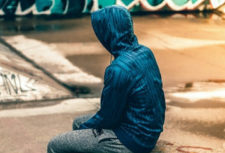 Currently, people who are suspected to be victims of slavery are referred to and supported by the National Referral Mechanism (NRM) – a system specially created to support victims of slavery whilst their cases are decided by the Home Office. In practice it mainly means a place in a safe house (if needed) and a case worker to help the potential victim navigate the system, from applying for access to free healthcare, counselling or legal representation to gather evidence of their own trafficking for the Home Office (yes, potential victims don’t any of the above automatically, they have to apply for it), to dealing with the police. 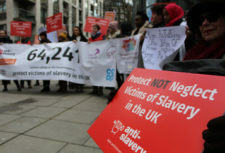 Sign our petition to protect, not neglect victims of slavery in the UK. 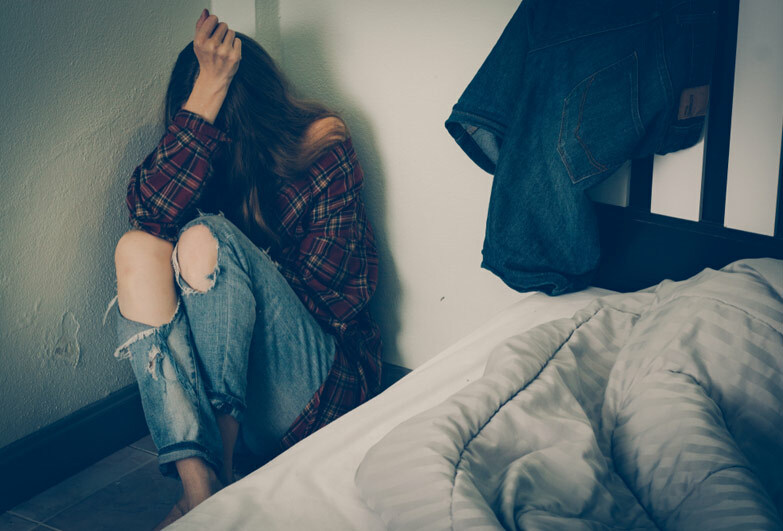 If the Home Office decides that such person is not in fact a victim of trafficking, they have two days to move out of the safe house (if they use one) with no further support (update: the Home Office has just announced it will be extended to nine days). Remember, these are extremely vulnerable people who often are not able to work legally or access benefits. And we know from research that many of these decisions are wrong and often linked to the victims’ immigration status. In theory, a service provider – an organisation contracted by the Home Office to support potential victims – could challenge the negative Home Office decision. However, the Home Office won’t pay for their work doing it, so the service providers rarely do so as their resources are severly stretched. In other words, there is a conflict of interests at the heart of these care contracts: the home Office won’t pay for challenging their own decisions. Furthermore, the online NRM database has recently been changed to disable the option to apply for extension of support to a person they think was given a wrong decision, further limiting the victims’ ability to appeal it. The message simply orders them to exit the service. It doesn’t stop here though. Last year the Home Office quietly cut the weekly support for asylum-seeking victims supported by the NRM to £37 per week – an over 50% cut – making them even more vulnerable to be exploited again – because if you can’t afford basic living you will be desperate for any work, even if illegal. It took us to take the case to High Court to reverse it. We are now braced for another fight, on the guidance on minimum standards of care for the victims that the Home Office is planning to publish shortly. These standards specify what each victim is entitled to as a minimum from the state. They are crucial to hold the government to account on how it supports survivors. Many in the anti-trafficking sector are poised for further cuts, the Government is committed to enforcing. The Home Office is planning to cut the weekly support for victims again, under the name of equalling it to that of asylum seekers, again to £37 per week. After losing the earlier court case the Home Office had to pay out over £1 million to repay the victims whose support it cut. It knows full well the cuts won’t be compatible with any decent standards, so there is a real worry that the new standards of care will be very weak. Finally, and ironically, even if the victims do get recognised as victims, they have two more weeks in the safehouse rather than two days, and if they claim asylum, they’re moved to asylum seeker accommodation, unsuitable for most vulnerable victims, so the benefits of getting officially identified as victims of slavery are not always obvious. We need to rehaul the whole system supporting slavery victims. A Modern Slavery Victims Support Bill is in the Commons now and would be a great start, guaranteeing twelve months of comprehensive support without having to worry about the immigration status. But so far the government refuses to support it. Without it, the UK won’t be able to claim it supports slavery victims in anything approaching relevant fashion.